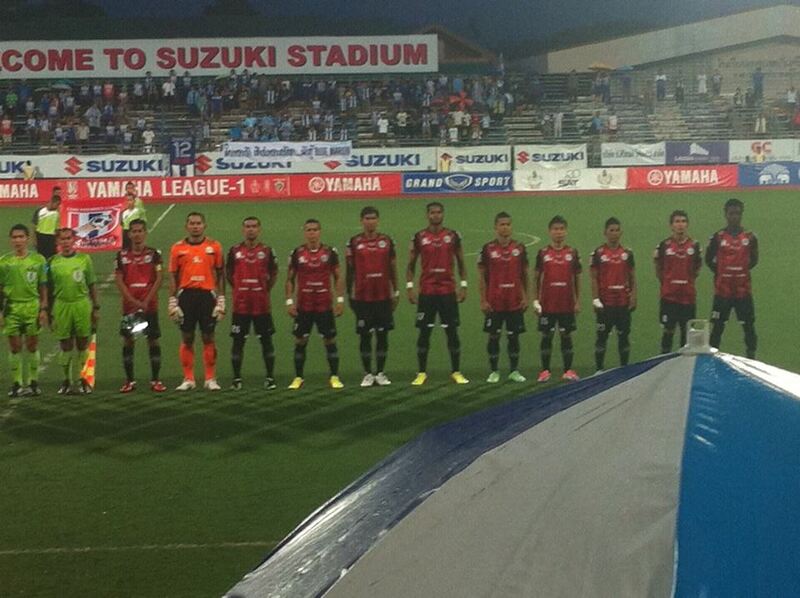 PHUKET: Rain or otherwise, 7th place Phuket FC take on 14th place Roi Et United tonight at Surakul Stadium. 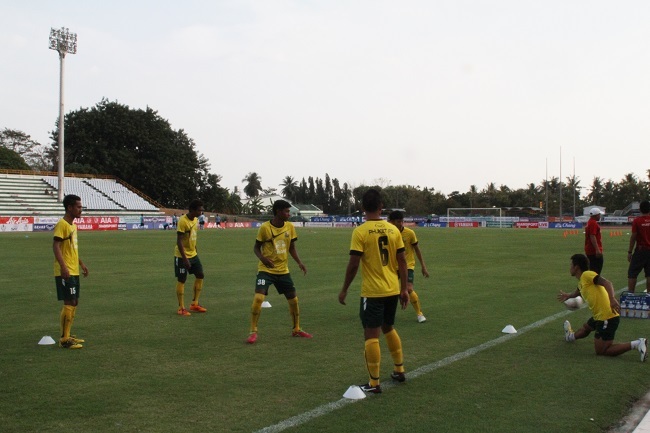 FOOTBALL: The Ronins were unable to take advantage of several scoring opportunities against Navy FC and played to a 0-0 draw at the Sattahip Navy Stadium on Sunday (June 1). 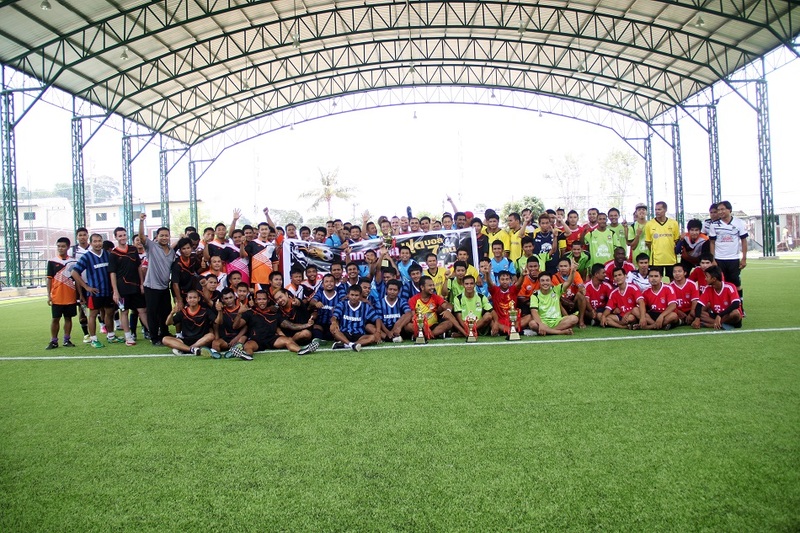 The island's Muay Thai community came together to play the first ever Muay Thai Fanatics Soccer 7s at Republic Phuket soccer field in Chalong last Sunday (April 27). FOOTBALL: Phuket FC kickstart their crazy week by hosting the “Big Pagoda” Nakhon Pathom United FC this Saturday (April 26) at Surakul Stadium in Phuket Town. 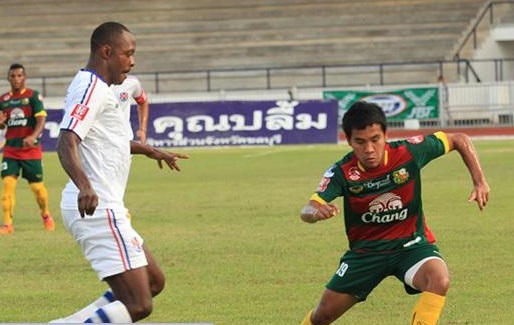 FOOTBALL: The Ronins will be without captain Wasan Natasan as they go on the road to take on the Lanna Tigers of Chiang Mai FC this Sunday (April 20). 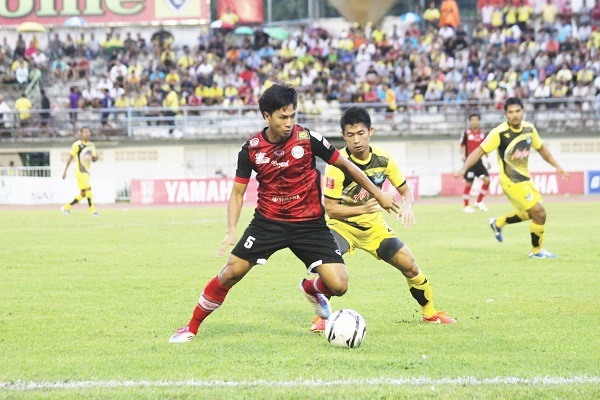 Today, Phuket FC will take on Sri Racha in their first clash of the 2014 Yamaha League-1 season at Surakul Stadium at 6:30pm. 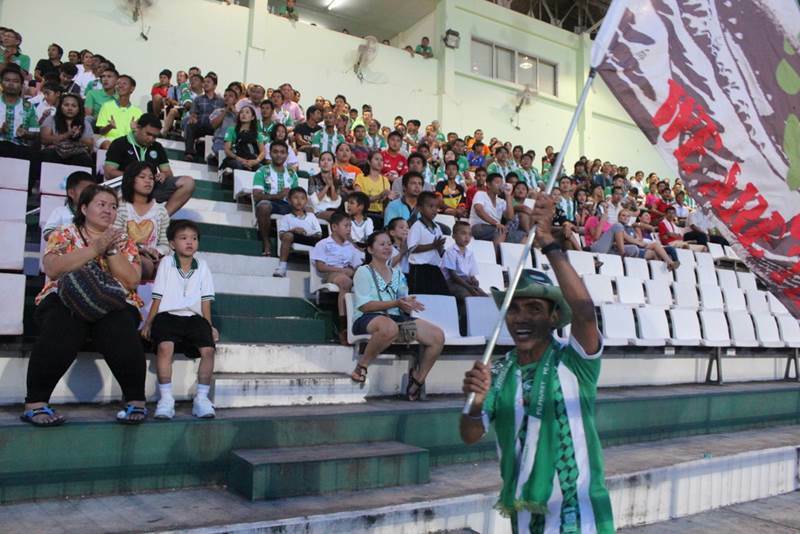 FOOTBALL: Phuket FC impressed fans with a season opening win at Surakul stadium last Sunday (February 23). 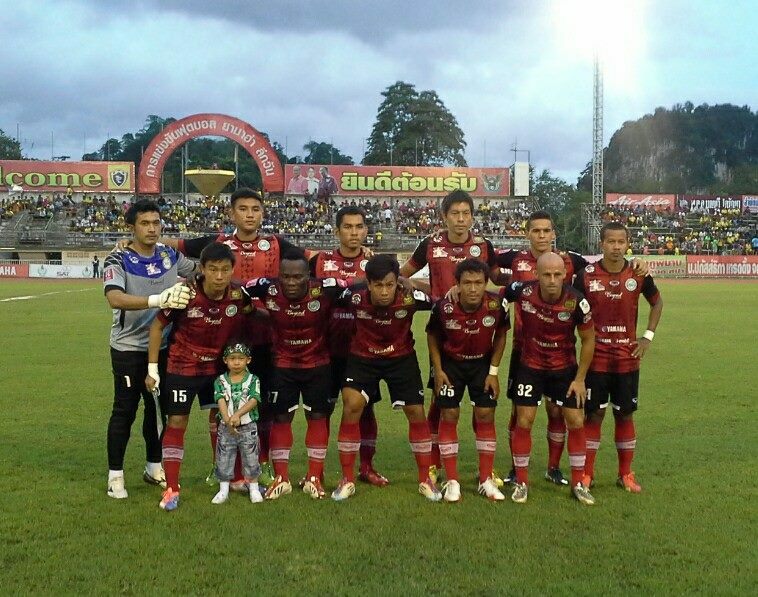 Vowed to play entertaining football, “The Ronins” Phuket FC delivered when they applied pressure on the visiting Pattaya United right from the first whistle. FOOTBALL: Phuket FC will kick off their 2014 Yamaha League-1 campaign today with an infusion of 'young blood' after a complete overhaul of the team has left only nine footballers from last season’s campaign. 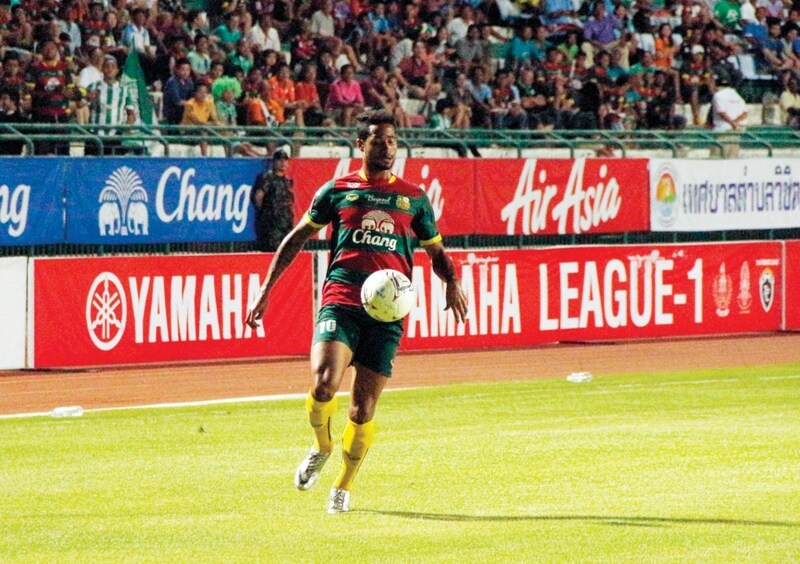 FOOTBALL: Phuket FC celebrated their first win in 55 days at Surakul Stadium last Sunday, with a one-nil victory. 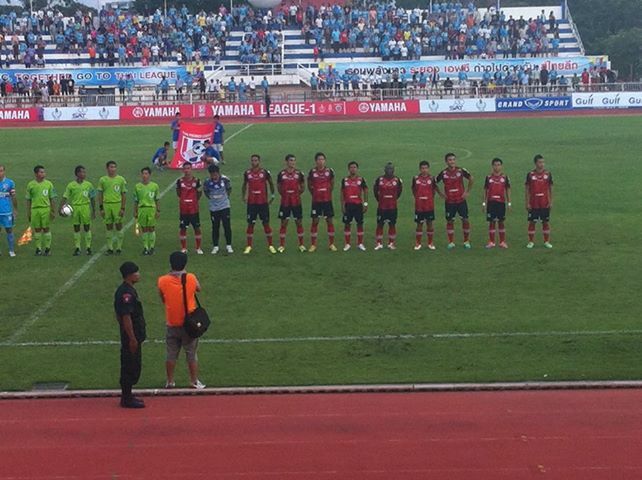 FOOTBALL: Phuket FC traveled to play the ‘Andaman Derby’ at Krabi Stadium on Saturday, September 28. 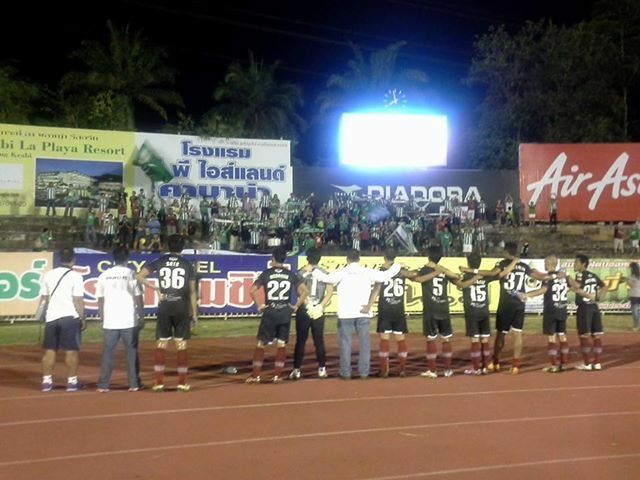 FOOTBALL: Following Phuket's 3-1 away defeat at Krabi stadium last night (Saturday 28), a Phuket FC fan – sick and tired of the Islanders' recent performances – called in to a local radio show to slam the side. 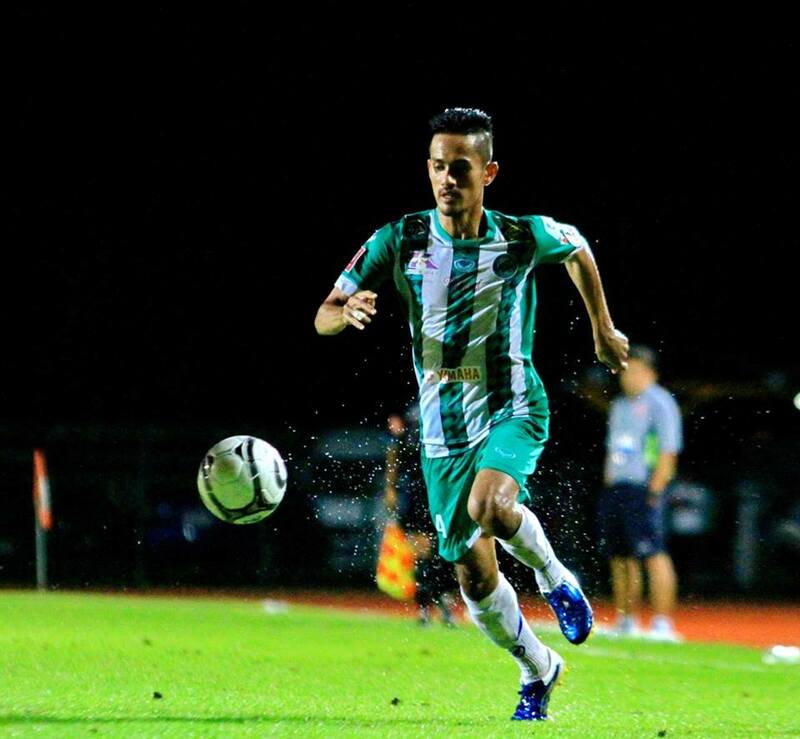 FOOTBALL: In a fierce derby match against Krabi FC last night (Saturday 28), Phuket were consigned to yet another defeat on the road. FOOTBALL: Following the disappointing away loss to Rayong FC on Saturday (September 14), Phuket FC Vice President Eam Thavornwongvongse and the Phuket FC Team Manager sent a letter to Thai Premier League Co., Ltd. (TPL), organisers of Yamaha League-1, to look into the referees' performance. 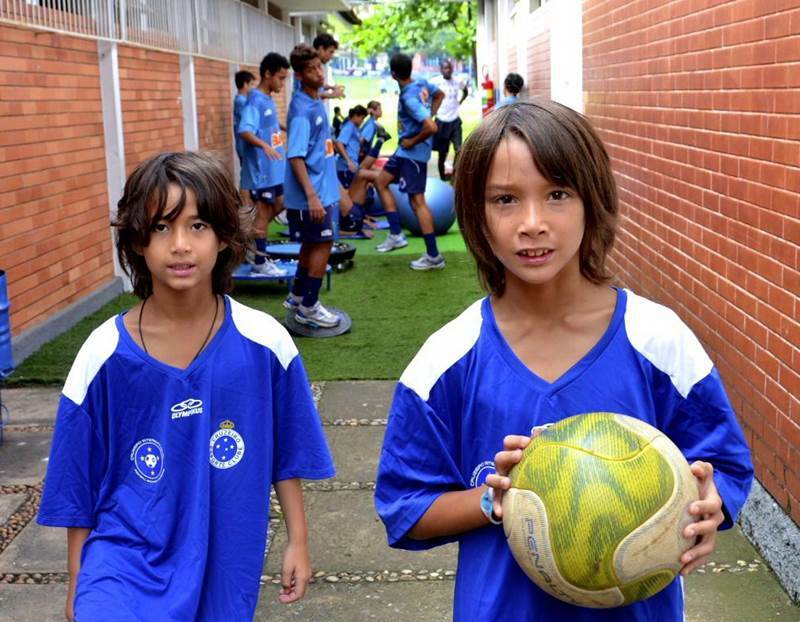 FOOTBALL: Young Thai-Australian talents Micah and Jonah Duchowny from Phuket, recently trained at the Cruzeiro E.C. 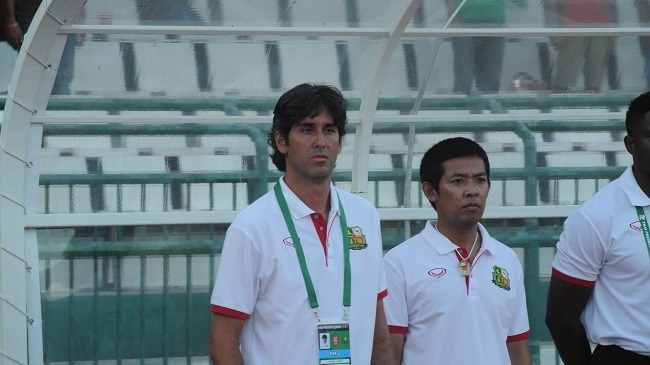 Academy, Phuket FC’s Brazilian partner club, where they impressed trainers. FOOTBALL: In Saturday night's game (September 14), Phuket FC lost on the road again, this time a 1-0 away loss to Rayong FC. 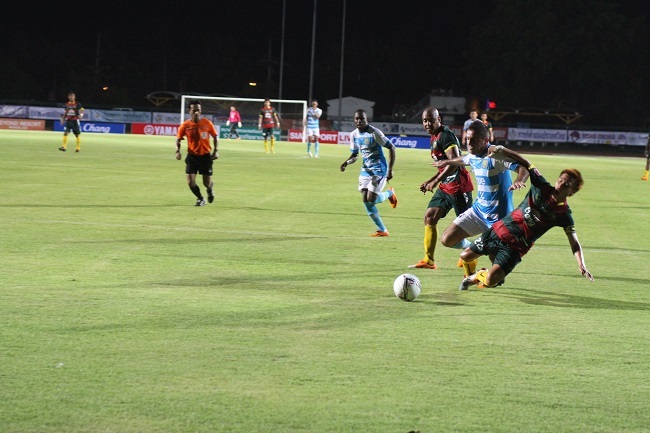 FOOTBALL: Sixth in the table Phuket FC kicked off confidently against 14th ranked side Sri Racha Suzuki FC, in tonight's (September 7) Thai Division 1 game. 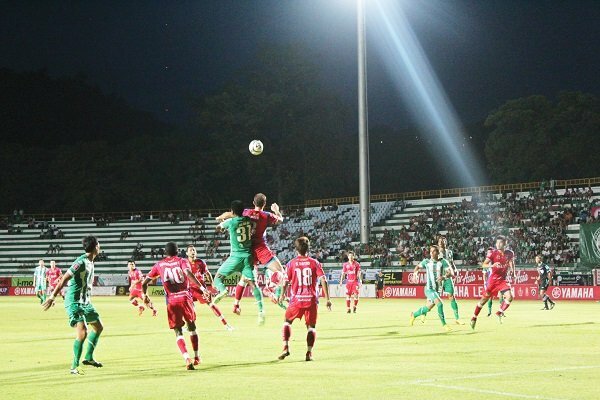 FOOTBALL: In a dramatic game at at Surakul Stadium, Phuket FC came from 2-0 down to draw 2-2 with visitors Ayutthaya FC. Steve Johnston reports on the thrilling comeback. FOOTBALL: Phuket FC went into their away game on August 14 with Navy FC on the back of a convincing 2-0 home win against Nakhon Pathom United.